Attention fellow Mac users, research has shown that our beloved laptops are prone to being hacked in one place you might have never imagined – its batteries. Accuvant security researcher Charlie Miller has been looking into the vulnerability of Apple laptop batteries, and what he has uncovered is not something that would make any Mac user happy. According to Miller Macbooks, Macbook Pros, and Macbook Airs alike share the same vulnerability of having built-in battery chips with default passwords. This shouldn’t be a problem if nothing can be done with the chip, but a hacker that finds out the passwords can actually control the firmware and make it do really disruptive, even downright disastrous tricks such as overcharging your battery, or rendering it useless. 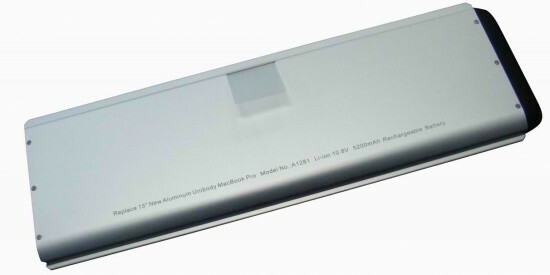 While this wouldn’t be much of a problem with other laptops, since you can easily just buy another battery, with an Apple laptop you will need to bring your gadget to an Apple Store just to have the built-in batteries changed. Of course, there’s the additional headache of the replacement battery’s cost. Even worse than being able to destroy your batteries, Miller says that anyone with the know-how can install malware on battery chip that will help them steal data off your laptop or do the other usual nasty tricks associated with malware. The problem with this is that even if you keep on resetting your laptop or even go as far as change your hard drive, the malware will still be able to attack your laptop again, unless you realize that the problem lies in the batteries and have them changed. Though Miller may bring grim news to us, he also has the fix that would help us rest more easily. He’ll be releasing his fix, called the “Caulkgun”, during the Black Hat security conference in Las Vegas later this month. “Caulkgun” should replace the default passwords with a new randomly generated password, so that hackers that figure out the default password still won’t be able to access your laptop’s batteries. The downside to this fix though is that Apple wouldn’t be able to access the chip either in case they need to in the event of an update. As for Apple’s take on the matter, they have not given any comment yet. We’ll have to see if they’ll come up with their own fix for the problem or we will indeed have to rely on Miller’s Caulkgun to keep our Apple laptops safe. At least that’s what Consumer Reports tells us in the latest report it published. The report that has been released sings the praises of Apple laptops and hails the MacBook Air line and MacBook Pro line as the best that one can have in the market. Consumer Reports compared some of the most popular brands – including the Macs, of course – taking the sizes into consideration. Whichever size you pick, though, the Macs came out on top. For the 11-inch category – it’s a no-brainer. The 11-inch MacBook Air came out as the preferred laptop, beating HP and Gateway. 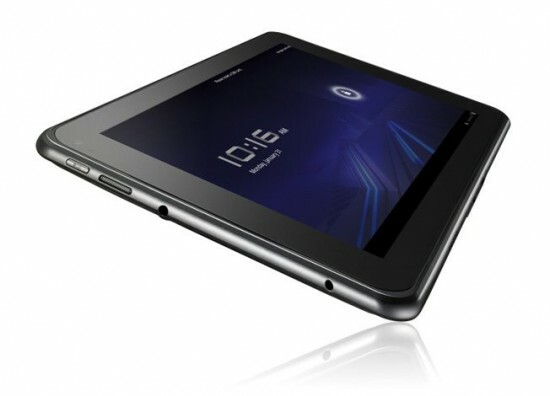 For the 13-inch category, the results were pretty much the same. The 13-inch MacBook Air, MacBook Pro, and MacBook all got impressive scores. 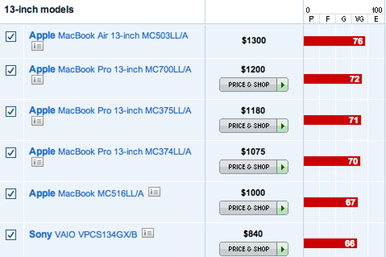 Nothing’s different with the 15-inch and 17-inch categories, except that the MacBook Pros got all the top spots. Aside from the machines themselves, Apple also got the top spot for their tech support. If you are an Apple user, you have got to admit that AppleCare does have its merits, and you are probably nodding your head as you read all about how good Apple computers are. No arguing about that. I’m still actively hunting for a laptop that I can give my wife. Right now, I am really torn between going Windows or Apple. Both have their own advantages and disadvantages. Windows laptops are decidedly cheaper and a large game library is one factor that needs to be seriously considered because my wife is a gamer and she can’t live without Sims. The bad thing though is the virus problem. My wife is not the type who will be bothered to go through the painstaking process of scanning every thumbdrive or external HD that she will attach to her laptop. Our trusty Acer laptop is now riddled with trojans and other malware that it needs its own haz-mat packaging. The Mac is a simple machine that is really designed for people who do not want the additional complications of taming a sometimes unruly OS. Prices have gone down significantly, but Macs are still relatively expensive. The lean game library is something my wife will probably moan about. I am really at a loss as to which one to buy. I’ll probably wait for the upcoming Developers Conference next week and hope Steve Jobs unveils a new Mac laptop that will definitely drive down the price of the last gen Macs.